ESO will hold a press conference on 16 October 2017 at 16:00 CEST, at its Headquarters in Garching, Germany, to present groundbreaking observations of an astronomical phenomenon that has never been witnessed before. 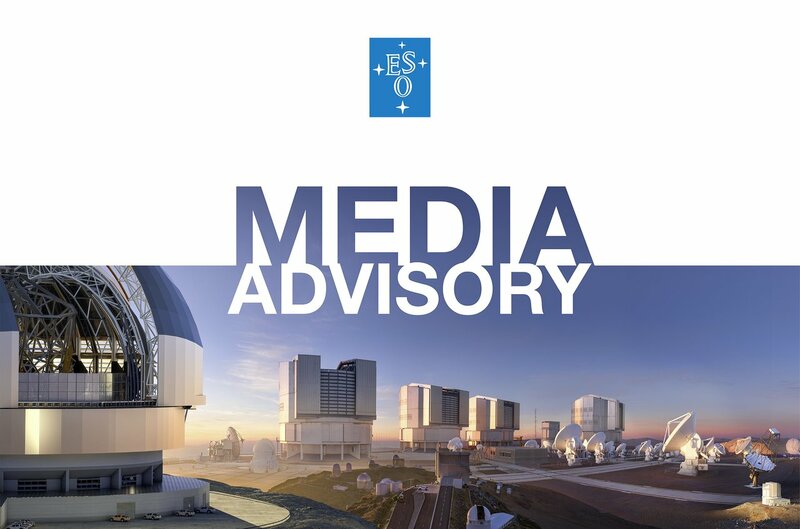 The event will be introduced from ESO’s Paranal Observatory in Chile by the Director General, Xavier Barcons, and will feature talks by representatives of many research groups around Europe. This invitation is addressed exclusively at media representatives. To participate in the conference, bona fide members of the media must register by completing an online form. Please indicate whether you wish to come in person to the press conference or if you will participate online only. By registering for the conference, journalists agree to honour an embargo, details of which will be provided after registration, and not to publish or discuss any of the material presented before the start of the conference on 16 October 2017 at 16:00 CEST. On site journalists will have a question and answer session with panelists during the conference. We will also take questions from journalists participating online. In-person individual interviews right after the conference are also possible. Details about how to connect to the conference, how to submit questions or book interviews, will be sent after registration. An ESO press release will be publicly issued at the start of the conference. Translations of the press release will be available in multiple languages, as well as extensive audiovisual supporting material.